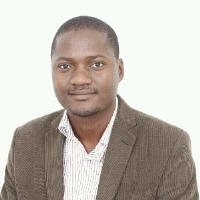 I am an Energy Engineer currently working on Demand Side Management and Energy Efficiency Project in the Main cities of Malawi- Lilongwe and Blantyre. I am looking at identifying Energy Efficiency opportunities in the domestic sector. I am also designing a Solar PV system for a Mission School and Hospital in rural Zambia to supply electricity. Besides this i am an IEEE Smart Village member and Enel Foundation Open Africa Power 2019 member. Sustainable Power Generation (Pty) Ltd.